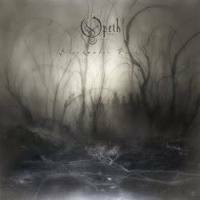 Hello to all that read this, I'm new to the site and I joined because I am having an issue (or at least I think so) when I create DVD-Audio discs from DVD-Video discs with 5.1 mixes of a band's album (in my case Opeth). I will explain my process and then share the problem. 1.Rip DVD-video disc (Opeth albums with 5.1 mixes) but 5.1 ac3 only, no video, dts, or stereo. I rip with OSEx and do the necessary things to extract only the 5.1 AC3. I decided to look at the info on my .wav files and it says it only has 2 channels....which is stereo (obviously). When I play them on my DVD-A player, I feel like it should sound a little better. The output options on a52decx are stereo, dolby, individual, (stereo) wav, and (dolby) wav. I chose dolby wav thinking it would maintain the multiple channels. Did I do something wrong? Should I be using a different conversion or ripping software? I can't author a DVD-A with AC3 files using DVD-Audiofile. Is that how it should be? Can someone show me a process that keeps the 5.1? Again, I'm on a mac. I can run windows 7 on my mac, but that is a last resort. Thank you in advance. 5.1 ac3 only, no video, dts, or stereo. Sorry, I can't help you with the software you use. I just want to say that all the 5.1 Opeth albums (the mixes are often more like 4.0) I know of have a DTS track, I think that sounds better than the DD, your mileage may vary. thanks anyways, and yeah, watershed and still life are not great in surround but ghost reveries and the blackwater legacy edition (especially) are great. porcupine tree make the best dvd-a discs though. I think Steven Wilson is a god when it comes to audio. Can you not create a DVD-A with the DD 5.1 track? That way you're not having to touch the data, literally just copy it. If "(Dolby) wav" means what I think it means, it's a 5.1 DD stream encoded in 2-channel PCM. You'll need to stream bit-exact to the decoder (for example via SPDIF). AFAIK this is done on DTS CDs. But it's probably easier to just put the DD stream as it is on the DVD-A? I guess my first question is...why? You aren't gaining any quality by converting from ac3 to PCM. If you want just the audio from the Opeth disc, author the ac3 files (or .dts files) to DVD-V. NOTE - I've never made a DVD-Audio disc. I don't have a DVD-Audio player. The output options on a52decx are stereo, dolby, individual, (stereo) wav, and (dolby) wav. I chose dolby wav thinking it would maintain the multiple channels. I've never used a52decx and I have no idea what those options mean. You should be able to convert AC3 to WAV with Audacity[/u] (the current beta version with FFMPEG installed). Or, you can try AC3Filter[/color]. If you have individual tracks for each song you should be OK, but if you have one long file, you'll probably need to make 6 seperate WAV files. There is a 2GB (or 4GB?) file-size limit for WAV files, and if you have "movie length" or "CD length" 6-channel WAVs you will probably exceed the size limit... especially if you use 24-bits and/or 96kHz. Can you not create a DVD-A with the DD 5.1 track? ... The output options on a52decx are stereo, dolby, individual, (stereo) wav, and (dolby) wav. I chose dolby wav thinking it would maintain the multiple channels. Did I do something wrong? Should I be using a different conversion or ripping software? If what you're ending up with is a stereo WAV file, then "dolby" most likely means your original 5.1 AC3 track is encoded via a matrix into a compatible "dolby surround" track, where all 5.1 channels are combined in such a way that a Dolby ProLogic decoder (in your AVR) would decode the 2-channel result back into 5.1 channels. The 2 channel file is technically called "Lt/Rt". It's not a prefect process by any means, but can work reasonably well. The rub is Lt/Rt to 5.1 via ProLogic is designed specifically for film soundtracks where Lsurround and Rsurround are not really fully discrete full bandwidth channels. They are actually a single, mono surround channel band limited to 8KHz, and with a modified Dolby B-type noise reduction process applied. ProLogic processes this back into quasi-Ls, and Rs signals, and also handles LCR channel steering to improve perceived adjacent channel separation. So, some multichannel music mixes won't sound quite the same or as good as the original.